iPad Pro models set to be released in 2018 will come equipped with a TrueDepth Camera and will support Face ID, KGI Securities analyst Ming-Chi Kuo told investors in a note this morning. Kuo believes Apple will add TrueDepth cameras to the iPad Pro to introduce a user experience that's consistent with the iPhone X and boost competitiveness. With all high-end iOS devices equipped with TrueDepth Cameras, "ecosystem development" will also benefit. According to Kuo, TrueDepth Cameras will be limited to the iPad Pro, which is Apple's main flagship tablet device. Kuo also predicts 2018 iPhone models will adopt the new camera technology coming in the iPhone X, as he has mentioned in a previous note. We predict iOS devices to be equipped with TrueDepth Camera in 2018F will include iPhone X and 2018 new iPhone and iPad models. Because of this, we believe more developers will pay attention to TrueDepth Camera/ facial recognition related applications. We expect Apple's (US) major promotion of facial recognition related applications will encourage the Android camp to also dedicate more resources to developing hardware and facial recognition applications. With Apple embracing facial recognition and the TrueDepth Camera, Kuo reiterated that he expects Android smartphone makers to begin researching facial recognition technology, abandoning under-screen fingerprint recognition technology. Apple has a serious lead over its competitors though, with Kuo previously saying it will take up to 2.5 years for Android hardware to catch up with the TrueDepth camera. 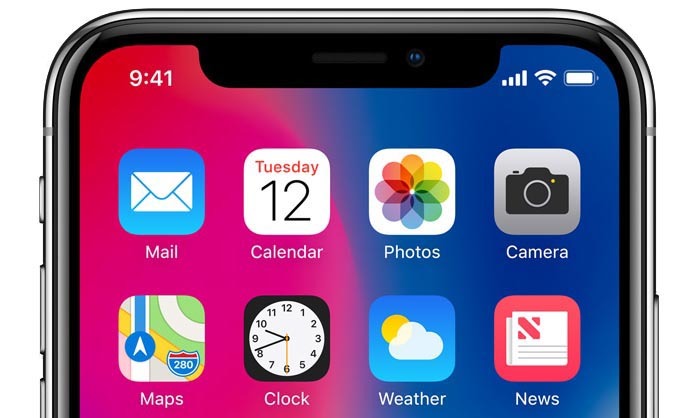 The iPhone X, Apple's first product with a TrueDepth Camera for Face ID, is set to be released to the public on November 3. It's not clear when the company plans to introduce new iPad Pro models, but the new devices could come as soon as the first half of 2018. The iPad Pro was last updated in June of 2017, introducing a new 10.5-inch model with slimmer bezels and new display technology. Can't wait, will be a nice upgrade. Hoping for something just like this. I basically told my self that i would not get a new iPad pro (i have the 1st 12.9 model) till faceID. I spend the weekend on the iPad pro for about 16 hours of work related matters and no more touch ID would make my experience even better. This makes zero sense. Why exactly is using Touch ID such a "burden" for you? How exactly would holding a giant iPad to your face be magically better? Seriously, Please tell us. Now the obvious question is when it will come to the macs instead of just the iDevices. Sounds like someone drinking the coolaid. Holding pencil then using touch id not conducive to touch id. Having to clean the touch id button if i just had a bag of potato chips. and yeah, i would LITERALLY not have to lift a finger a unlock the iPad and apps. So yeah, at times it is a relative burden to me. Now do the above for 16 hours over two days. See if this burdens you are not. It will help you make less silly comments like "this makes zero sense" when you have no idea of my workflow on my iPad. Hope they do away with a physical home button. Face ID makes even more sense on Mac and iPad. I don’t find Touch ID burdensome in the slightest. It’s a technology that’s made my life easier. Definitely not burdensome, but it’s always a two handed process unless the iPad is laying down. Face ID would be a much more convenient option on laptops and tablets .